Welcome to The MEM Project! 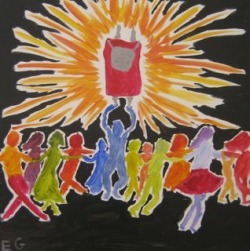 The MEM Project seeks to engage individuals through the artistic process as a means to explore Jewish identity and encourage connection with under-served communities through collaborative mural projects. a glass etching workshop to create your own glass for Elijah, Miriam, or yourself! Click here to check out MEM in the news! We need your support! Click here to donate now! ​This project was launched with support from the Combined Jewish Philanthropies/PresenTense Boston Social Entrepreneur Fellowship. Thank you! 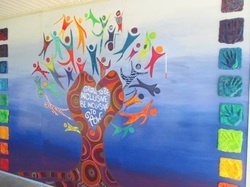 Note: all images on this site are either of artwork created by Tova's past students or pictures of community mural projects Tova has led. Many thanks to all past (and future) participants who have been willing to "try" your hand at art - you are all great artists!